The Buffalo Beauts earned their fifth straight win in a tight battle with the Metropolitan Riveters, taking the 3-2 victory Saturday afternoon in the Beauts’ first trip back to RWJBarnabas Health Hockey House since falling to the Riveters, 1-0, in last season’s Isobel Cup Final. 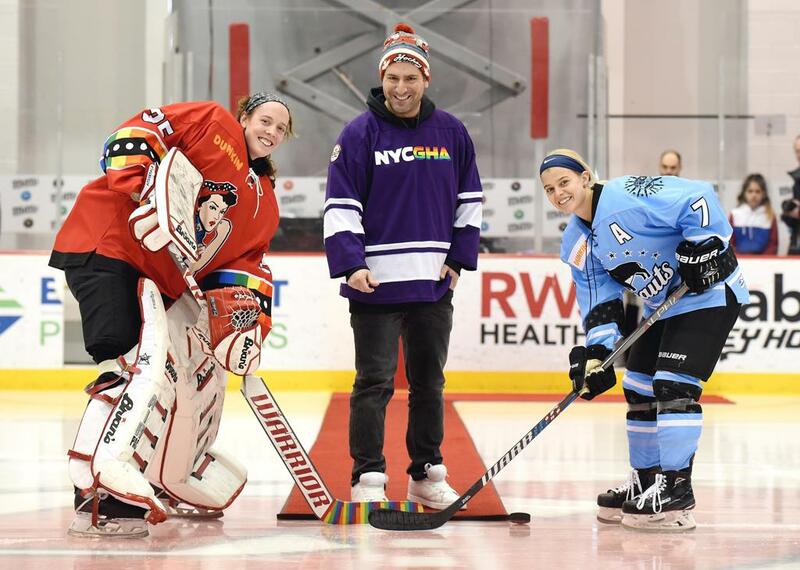 The game also served as the Riveters’ You Can Play Game, with the home team donning special rainbow jerseys to support the You Can Play Project, which promotes inclusion in sports. Both teams’ top lines were held at bay, as the Beauts got goals from Taylor Accursi, Julianna Iafallo and Savannah Harmon, while the Riveters’ third line produced, with Rebecca Morse and Kristin Lewicki each scoring their first goals of the season with Alexa Aramburu picking up the assists on both. After the teams traded offensive-zone possession in the first period before the Beauts broke through with 2:30 remaining as Accursi poked the puck under Katie Fitzgerald’s pad amidst a scramble in front of the net to take a 1-0 lead into the break. The Riveters responded just two minutes into the second period. Morse broke into the zone one-on-one with her defender, backhanding the puck between the post and Nicole Hensley’s skate before getting a second tip on it to slide it over the goal line. Iafallo regained the lead for the Beauts at 6:11 of the second period, tipping in a shot from the point from Jordyn Burns for Iafallo’s fifth of the season. Just over three minutes later, Harmon took advantage of a Buffalo power play, firing a rocket from the top of the circles to push the advantage to 3-1. But the Riveters were quick to narrow the margin back to one, as Lewicki snuck one short side just 37 seconds later. The Beauts defense clamped down in the third with the Riveters searching for the equalizer. The Riveters went to the power play with 2:12 left in the game, but took a penalty of their own just 12 seconds later. They pulled Fitzgerald to make it 5-on-4, but couldn’t find the back of the net. Fitzgerald made 25 saves and wore a special rainbow mask, which will be auctioned off in support of You Can Play. At the other end of the ice, Hensley stopped 22 shots in another impressive goaltending performance for then Beauts. Blake Bolden played stellar defense for the Beauts, helping keep the Riveters from equalizing, in addition to picking up an assist on Accursi’s goal. 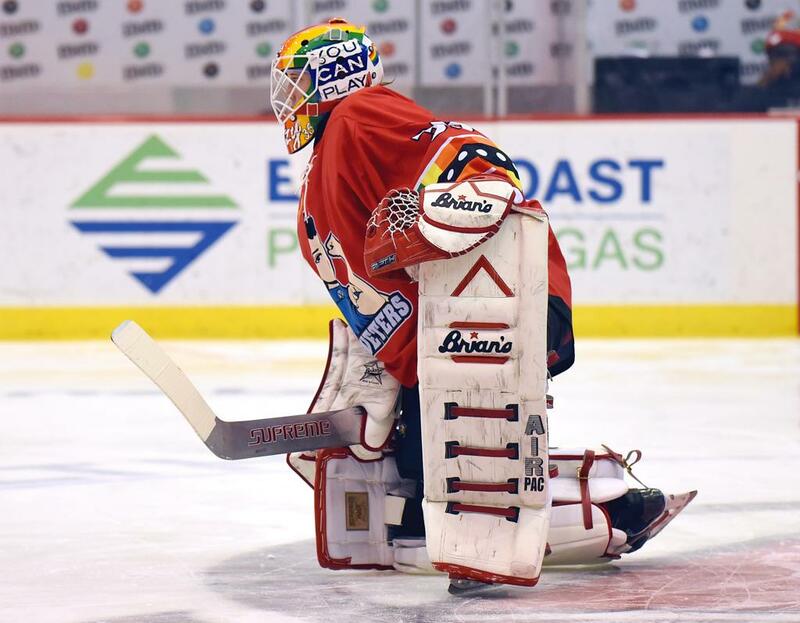 Hensley, Bolden, Hayley Scamurra, Shannon Szabados, Lisa Chesson, Savannah Harmon and Emily Pfalzer will represent the Beauts in next week’s All-Star Game in Nashville. The Riveters will send Michelle Picard, Audra Richards, Courtney Burke, Madison Packer and Amanda Kessel. The Riveters return home after the All-Star break on Monday, Feb. 18 to make up a game against the Pride that was postponed due to weather on Jan. 20. The Beauts’ next game is Feb. 23, when they return to HarborCenter to host the Riveters. Tickets are available at NWHL.zone/tickets.